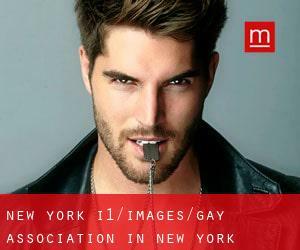 If you want social support for your sexual preferences, you can think of contacting an attractive Gay Association in New York without having a doubt on mind. There's nothing to worry about becoming gay and if you feel frustrated, you can look for a Gay Association in New York and ask for assistance. You can easily locate organizations that support gays, bisexuals, lesbians and transgendered people via the world wide web. The number of LGBT organizations is escalating at a rapid pace as a result of the increase in folks with gay sexual orientations. Several strategies of assistance are readily available for the gay folks to come up with the challenges that they face and gay organizations hold a prominent location out of them. Go to Menspaces to locate all gay organizations in your city or anywhere else in the world.